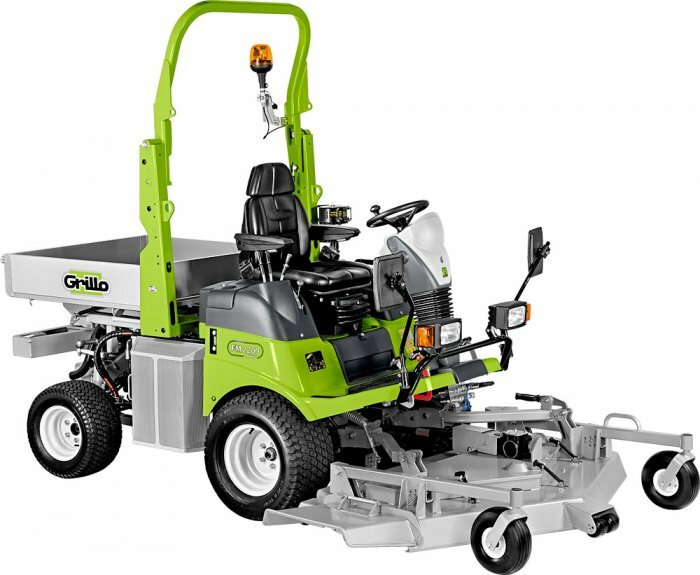 The Grillo FM2200 has permanent 4WD and an out-front cutter deck, its 44 HP engine achieves peak power at only 2600 rpm and with a turning radius of just 62 cm it is easy to manage and stable on sloping ground! 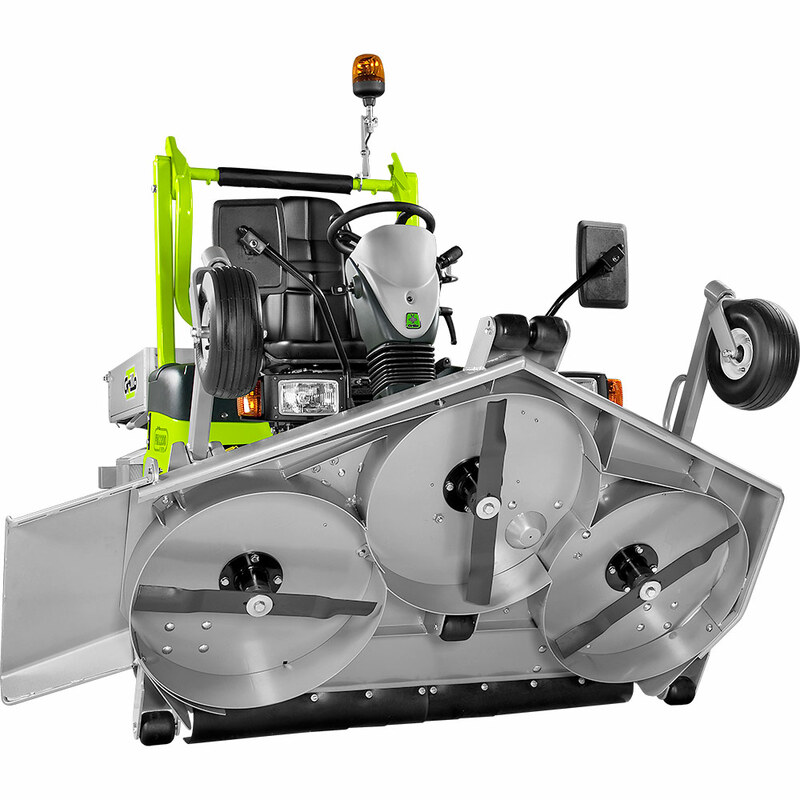 Even the most demanding professional operator requiring a high quality cut will appreciate the characteristics of the 160 cm “LMP” cutter deck having three different cutting modes: mulching, side and rear discharge, a 150 cm all purpose flail and 175 cm snow blade. 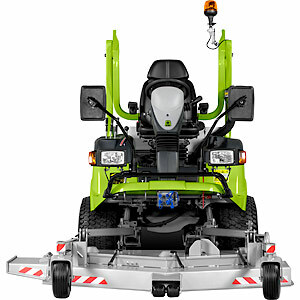 The FM2200’s front cutter deck ensures, together with a comfortable driving position, an extraordinary visibility on the area to be cut. The floating cutter deck gives a regular and precise cut also on undulating ground. 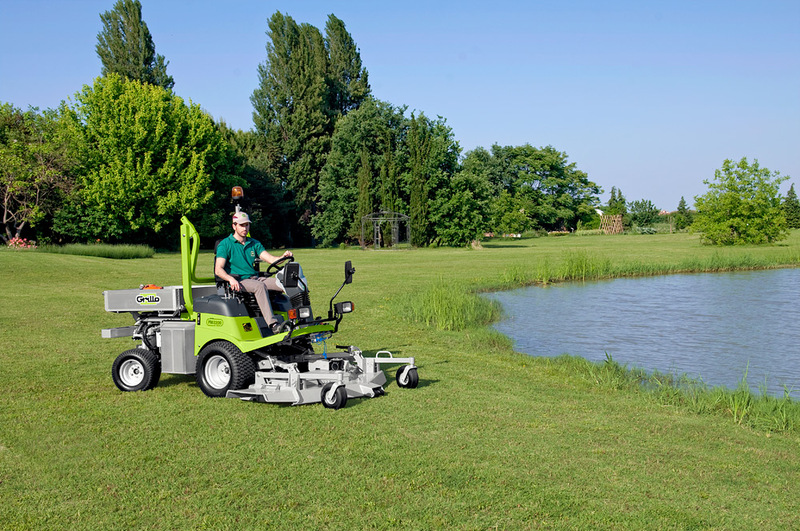 The FM2200’s quality cut is exceptional in particular demanding conditions with high and humid grass by the 44 HP engine has an abundance of power available. The 160 cm “LMP” cutter deck has three blades and three cutting modes: Mulching, side discharge and rear discharge. You do not have to change the blades, all that is required is to fit the baffles to the inside of the deck. The whole cutter deck is hydraulically raised or lowered and has a useful safety block when carrying out maintenance work to the underside of the deck. The cutting height adjustment has 8 positions is changed by removing a pin on 4 points, cutting heights range from 20 to 90 mm. 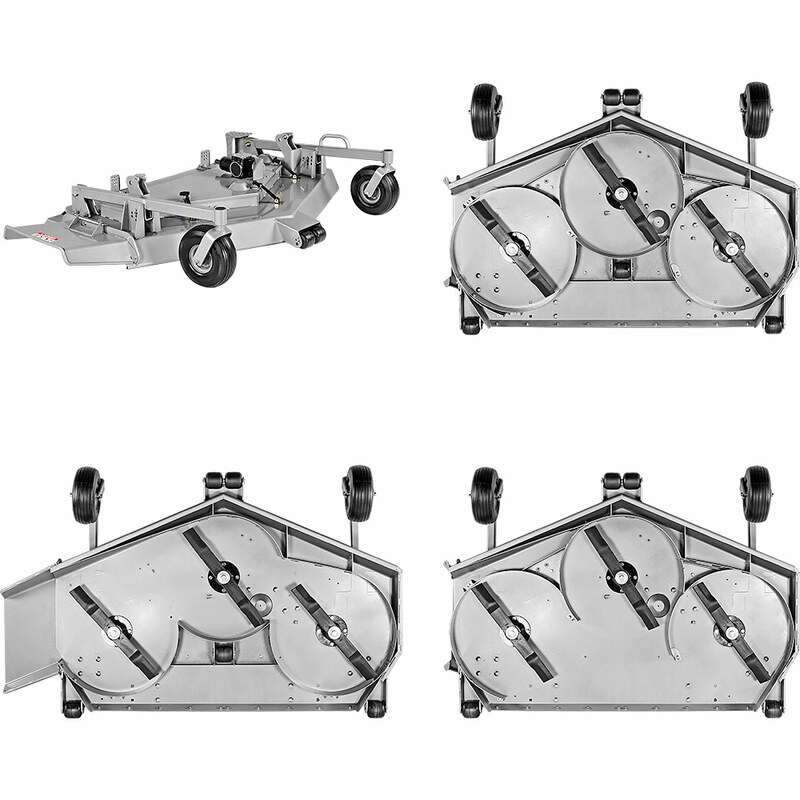 The 160 cm “LMP” cutter deck is equipped with little anti-scalp wheels and dampers for transport, and the cutter deck’s front wheels are puncture-proof treated. 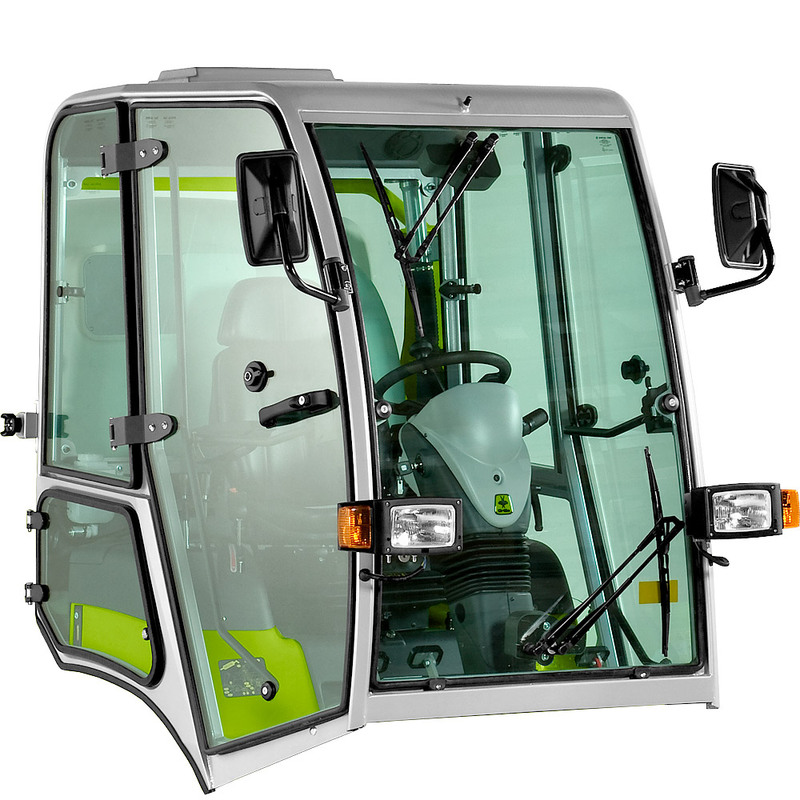 The FM2200 4WD’s hydraulic connectors are fitted with quick couplings and allow the use of two services and a hydraulic motor. 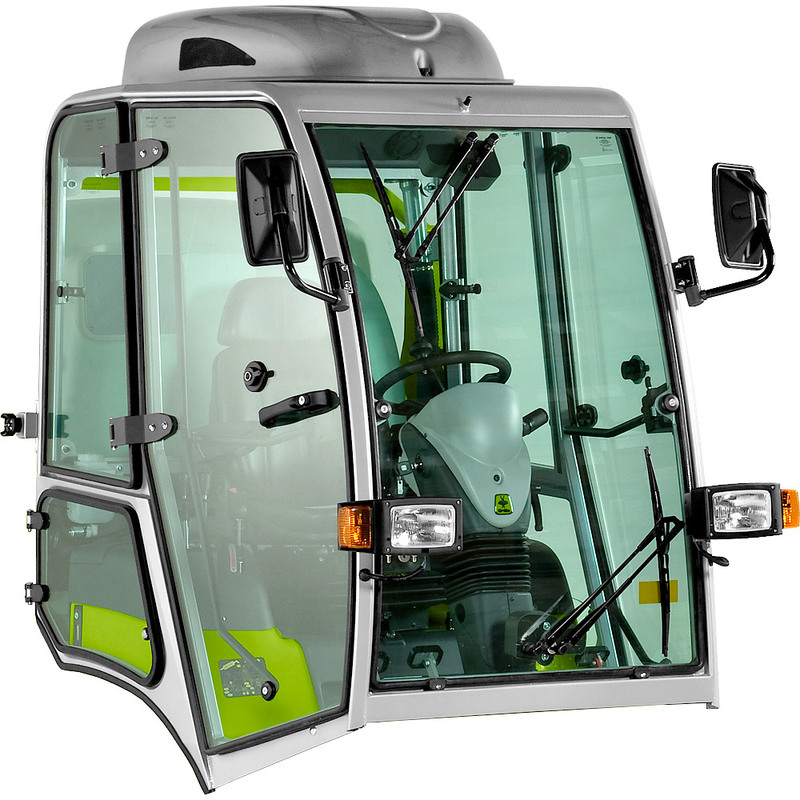 The services are controlled by a lever distributor, the hydraulic P.T.O. running at 34 litres/min is controlled by an electric push-button on the steering column. 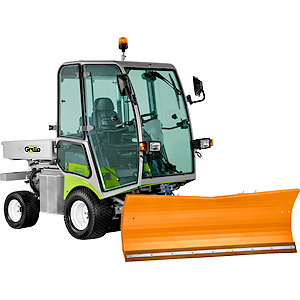 The hydraulic connection system of the Grillo FM2200 4WD allows the use of a snow blade or other customisations. The load bed with side walls made of aluminium and the floor from metal sheet, has following sizes: 105x105 cm and is equipped with a release point for manual tipping. 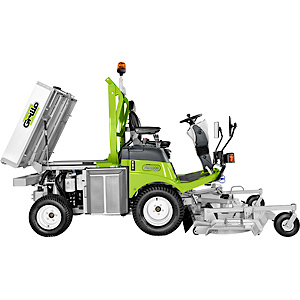 It is extremely useful for transporting tools such as chains saws, trimmers etc. 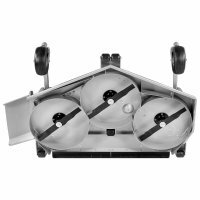 easier and ensures an easy-to-do installation of tools such as salt spreading machines, casks, pesticide sprayer. The load surface is further equipped with hooks to secure the load; the rear wall is tipping. Emptying is done via a handle and by unfastening lever. 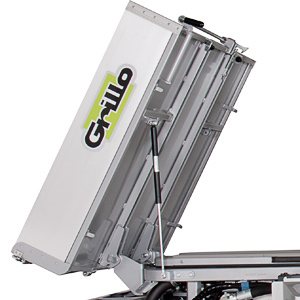 In order to help when tipping, the load bed is equipped with a gas strut. The Grillo FM2200 4WD has a high hourly output, for instance both in very large areas and in complex grounds which have many obstacles, such as plants and benches, thanks to its high manoeuvrability, to its small turning radius and to the machine’s short wheelbase. 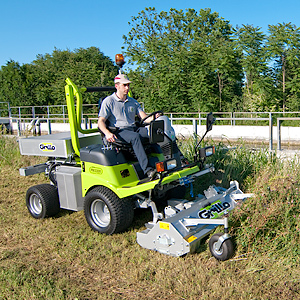 Cutting stability on slopes or across slopes is ensured by its optimal weight distribution as well as its manual or automatic operated diff-lock. 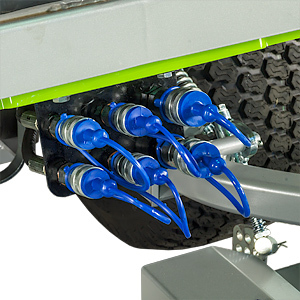 The innovative permanent 4-wheel-drive system, ensures via its differential lock working with maximum grip without slippage under most conditions without ever marking the grass coat, even with steering with maximum steering angle! 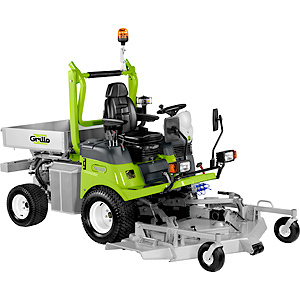 The pivoting rear axle keeps the traction on the four wheels when mowing on uneven grounds and on slopes. 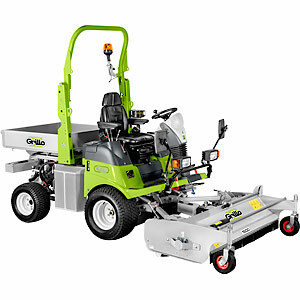 There are no problems in mounting pavements and kerbs for the Grillo FM2200 4WD. 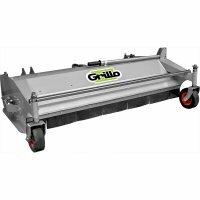 The Grillo FM2200 is manufactured with a robust chassis and the reinforced cutter deck is protected at points which are mainly exposed to wear. During the design of the machine a large percentage of high resistant steel types was used. All hydraulic components are sourced from the world’s top manufacturers. 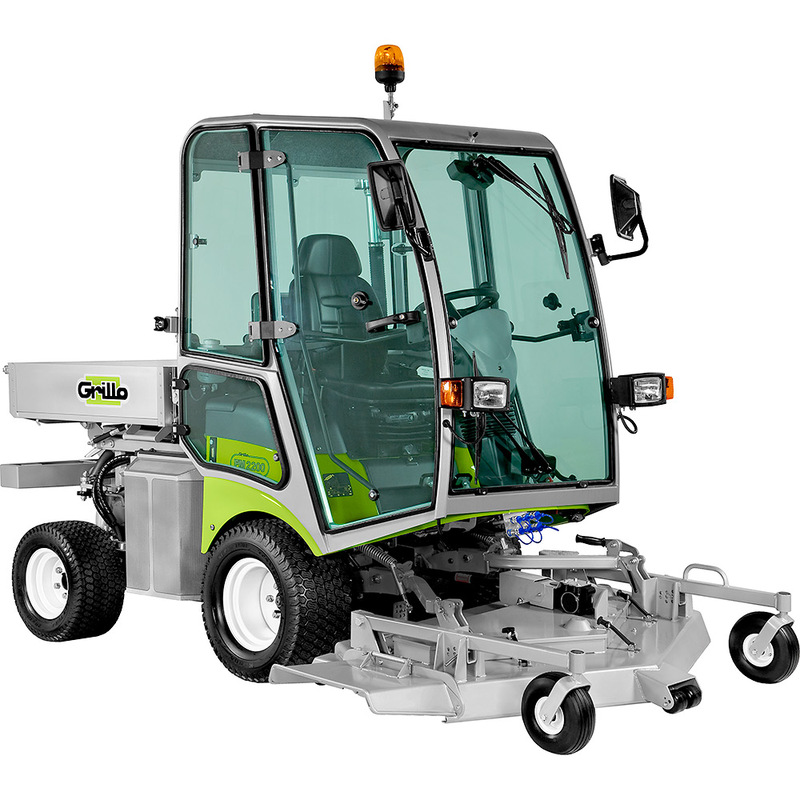 The Grillo FM2200 is fitted with a 44HP Yanmar 4TNV88 4-cylinder diesel engine with low rpm (2600 rpm) and is mounted on rubber blocks. The liquid cooled engine has a self-cleaning radiator; the hydraulic cooling fan is able to reverse the rotation sense to eliminate any debris on the radiator. The activation of such system is automatic and controlled by a sensor, but can be activated also manually. The PTO clutch is a hydraulic multidisc unit with integrated blade brake and is activated electrically via a push-button ensuring high reliability and long life. The Ferodo blade brake is adjustable to compensate for any wear of the friction material and so retain its efficiency. P.T.O. and hydraulic P.T.O. are separately engaged. 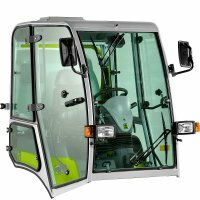 The FM2200's high driving position is ergonomic and has been designed in order to protect the operator from fatigue during extended working hours. 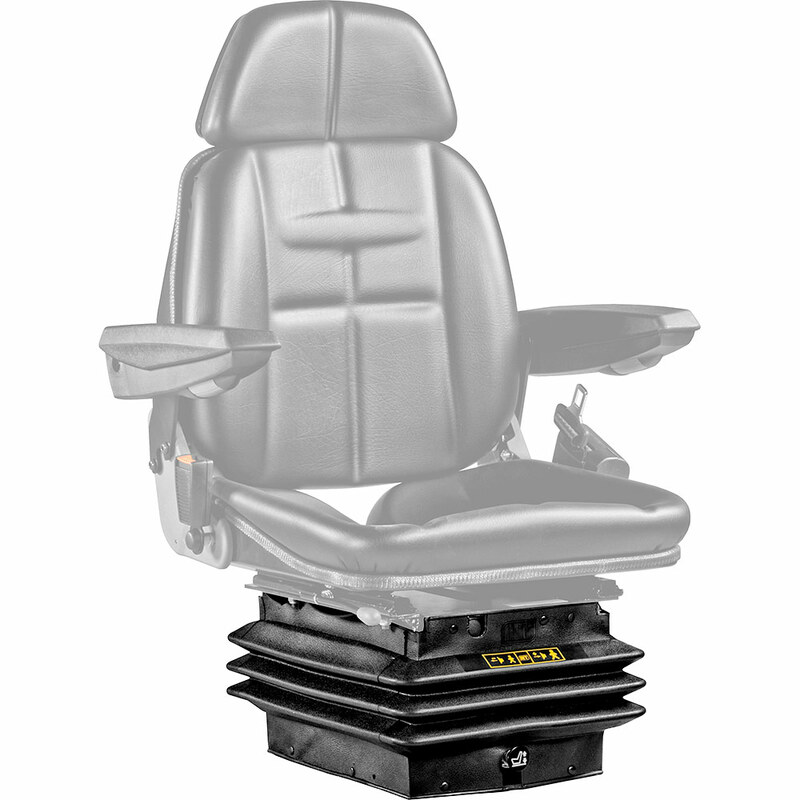 The FM2200 has a wide, comfortable driving position with a dampened, adjustable seat which is equipped with arm rests. 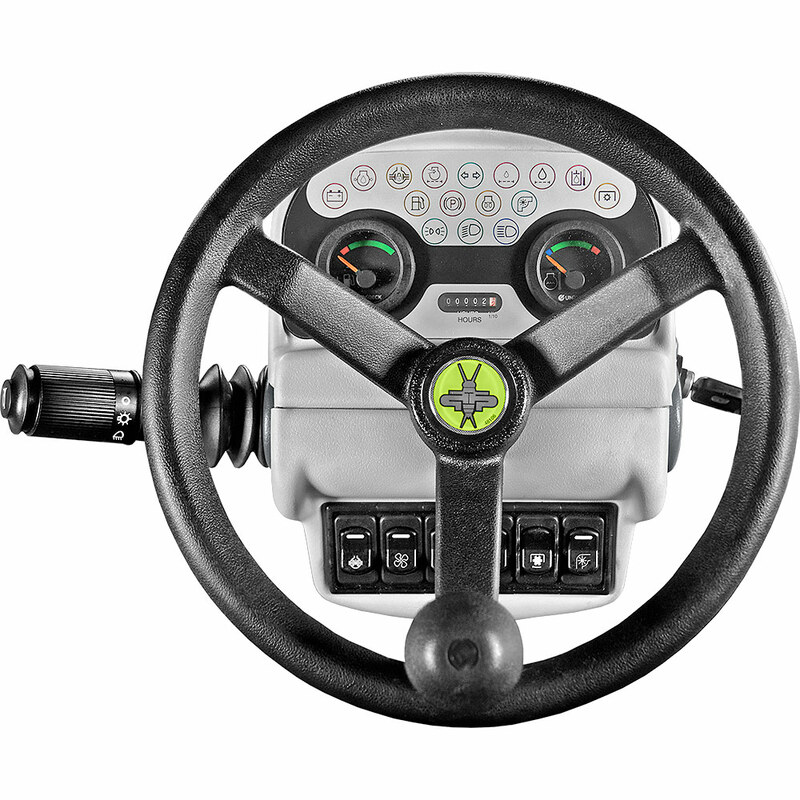 The cutter deck's controls are operated via a hydraulic lever distribution system. The folding roll bar is a standard feature. The comfort cabin with a large field of view, heating and air conditioning kit is optional extra. 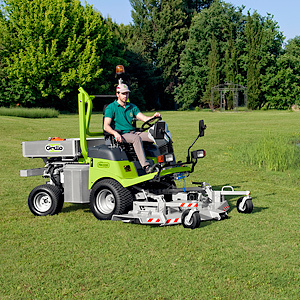 Apart from the standard 160 cm cutter deck with three cutting modes, side discharge, rear discharge and mulching there is the option to have the 150 cm all purpose flail with scarifier kit and the 175 cm snow blade. 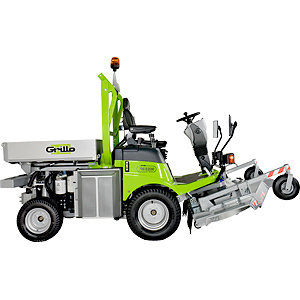 The Grillo FM2200 4WD, as all products by Grillo, was projected and built to last and keep its value for many years. 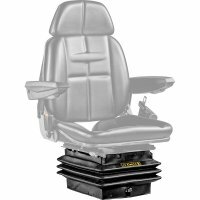 Consumption, emissions, noise and vibrations are reduced to the absolute minimum. FM 2200 4WD passed very stringent tests to prove the reliability of its drive system, cutter deck, chassis and of all other components. 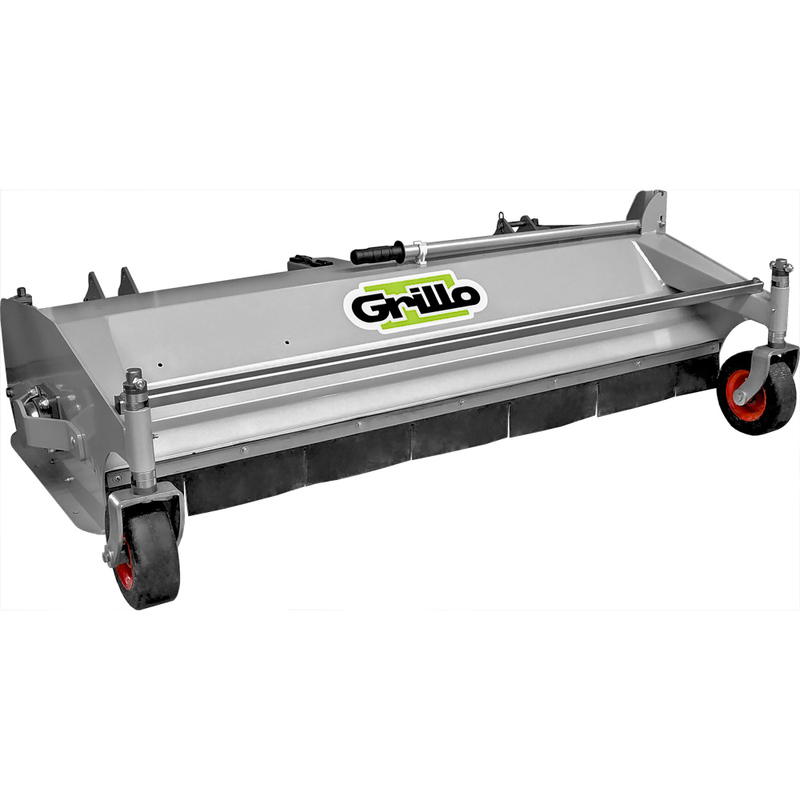 Cutter deck, chassis, accessories all are built by Grillo in Italy using premium materials and cutting edge technology. All this to achieve constant and 100% controlled high level quality. 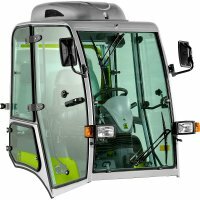 All FM 2200 4WD have been mounted with care for every detail and tested scrupulously by specialised personnel. Final inspection means also machine with started-up engine in order to check its performance This is your further and final guarantee for a high quality product. 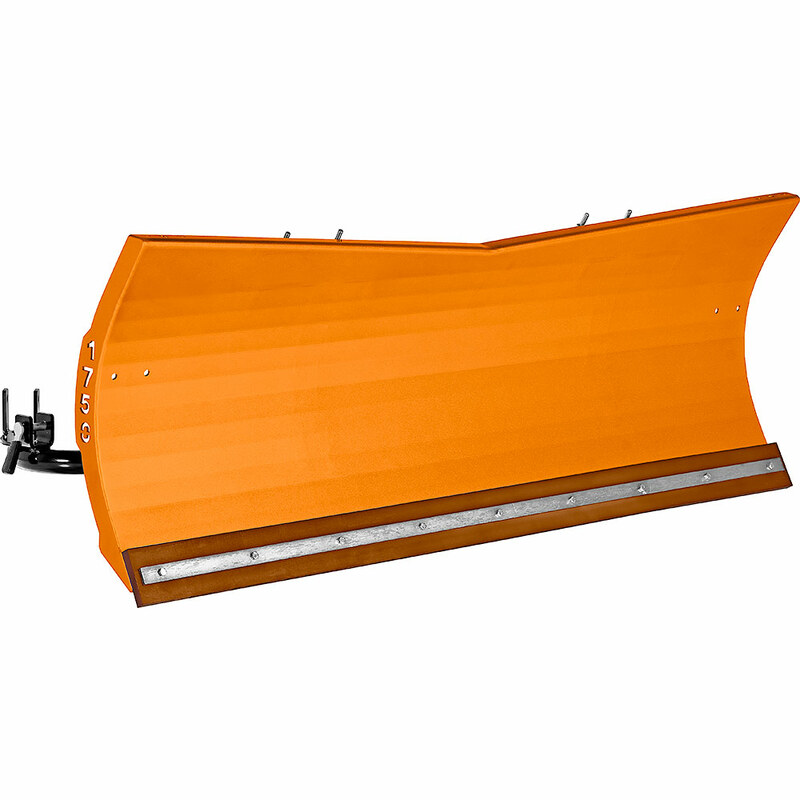 The orientable front blade allows to rapidly free pathways from snow and ice; it's also useful for removing stone piles or sand heaps. All blade's movements are hydraulically controlled; the blade can be lifted up and inclined laterally + / - 30°. The rubber end helps avoiding damages on stone pavings and streets. Hydraulic kit is needed with this implement. The comfort cabin is equipped with anti-condensation heating system and ensures a great visibility on the area to be cut.